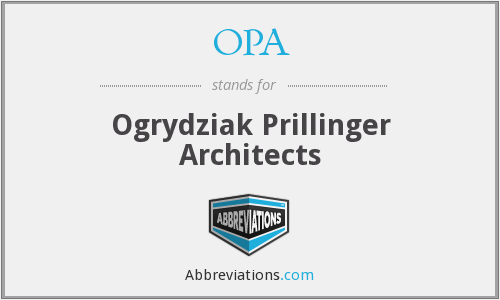 What does OPA mean in Architecture? This page is about the meanings of the acronym/abbreviation/shorthand OPA in the Academic & Science field in general and in the Architecture terminology in particular. A Greek folk expression of good cheer, often used during dancing, expressing fun and excitement. How popular is OPA among other acronyms? "OPA." Abbreviations.com. STANDS4 LLC, 2019. Web. 18 Apr. 2019. <https://www.abbreviations.com/term/2031014>.